This is the first stop on Rankins US Grand Tour as he launches his 30th Rebus novel, Rather be the Devil. 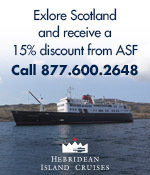 ASF Members and friends – you are invited to this special evening. There are limited tickets available (no charge) to this intimate evening which will include a reading, book signing, and Q & A session with a dram of whisky, shortbread, live music. Rankin’s first Rebus novel, Knots & Crosses, was published in 1987. Today, the Rebus series is translated into twenty-two languages and the books are bestsellers on several continents! 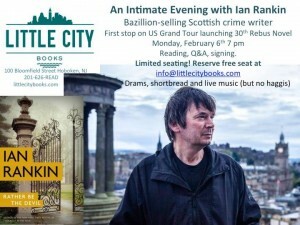 Rankin’s Inspector Rebus novels are set mainly in Edinburgh, and are considered major contributions to the Tartan Noir genre, a form of crime fiction particular to Scotland and Scottish writers. This entry was posted in Arts and Entertainment, Associate Events and tagged Ian Rankin, Little City Books on January 26, 2017 by Camilla Hellman.